A classic London Dry Gin, with an unashamedly refreshing outlook. Inspired by her home town of Dulwich, Fatty explored dill as a key botanical ~ Dulwich means ‘the meadow where dill grows’. The subtle flavours that dill adds, creates a unique London Dry Gin, which is incredibly light on the palate. 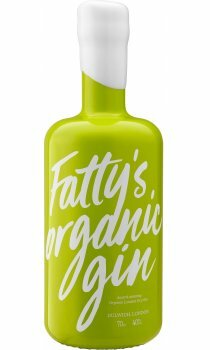 Fatty’s Organic Gin creates a soft, full flavoured explosion landing on the front of the palate, before slowly melting away to leave a crisp, refreshing finish.